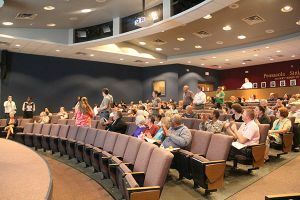 Pensacola State faculty and staff were introduced to the college’s QEP – Quality Enhancement Plan, The Pirate PATH to Success – during recent meetings held on the Pensacola, Milton and Warrington campuses. President Ed Meadows shared the details of the QEP where college administrators – to ensure student success – identified issues, solicited input and reviewed student success data and information on national best practices. “Orientation is key to success so now it is a requirement for our first-time-in-college students,” explained Meadows who added career assessment is addressed as part of the orientation process. First-time-in-college students also are assigned an advisor who will assist them throughout their collegiate career at Pensacola State. Tracking encompasses “Degree MAPS (Minimum Academic Pathways) to keep students on track for completion. And “Helping” refers students to academic and support resources. 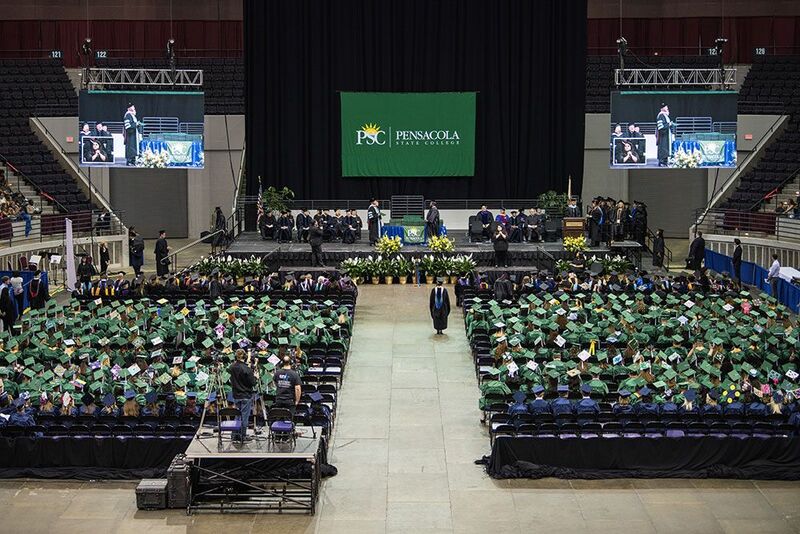 “The idea is to get a student on the right degree path from the beginning, keep the student on that path, and help the student stay on the path all the way to completion,” Meadows said. The president also discussed the Southern Association of Colleges and Schools Commission on Colleges visiting the college for its 10-year reaffirmation. Along with other documentation, the QEP was submitted to SACSCOC, the regional body that accredits degree-granting higher education institutions in the Southern states. “Accreditation is important on many levels. For instance, we can’t offer financial aid to students without accreditation. Our accreditation also speaks to our quality as an educational institution,” Meadows noted. No. 11 in Best for Veterans in Southern Region. “These rankings and awards are more than numbers on a list. 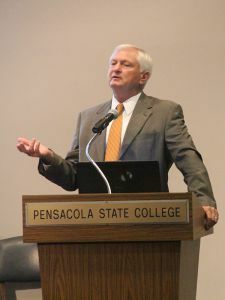 They speak to the desire of Pensacola State’s faculty and employees to see students succeed,” Meadows added.